Darren McGrady was once chef to the British royals. 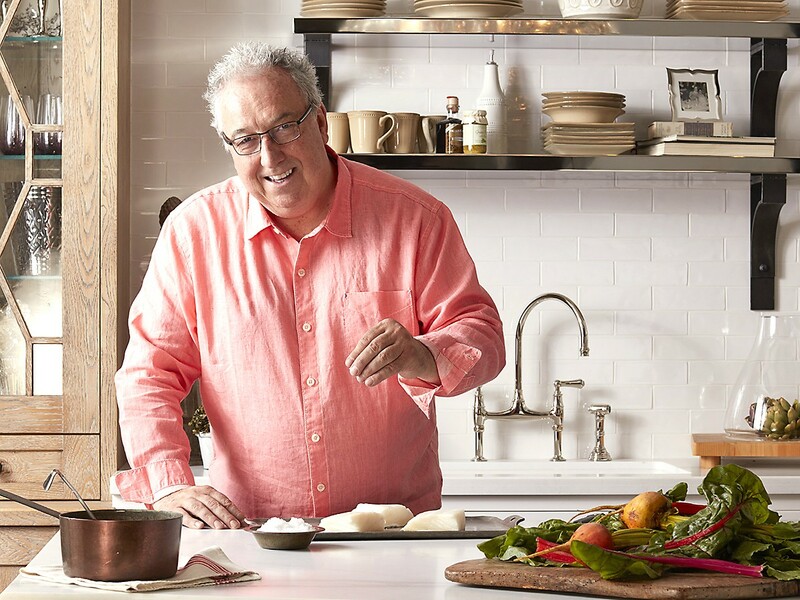 These days, he lives in Texas and creates recipes to please the American palate. Photo courtesy of Bright Sky Press. In England, “football” is soccer. But, as Darren McGrady, former chef to the royal family, wrote in his cookbook The Royal Chef At Home, that idea doesn’t fly in Texas. Here, football is something very different. After Princess Diana’s death, McGrady says he was invited by Prince Charles to be the chef at Highgrove House, the family residence. McGrady turned the job down and moved to America, just like he and Princess Diana used to talk about. After initially relocating to California, he met a family from Dallas on vacation that asked him to come be their chef. That’s how McGrady became a Texan. For a time, he was also employed by American Airlines to create meals for first class passengers. What a royal chef makes for Super Bowl snacks: Lobster Mac & Cheese Balls and Turkey Meatballs with Smoked Paprika Coulis. Photo courtesy of Bright Sky Press. Part McGrady’s cultural assimilation included figuring out what to cook when entertaining his American friends and neighbors at home. That’s what The Royal Chef At Home is all about and it offers a handful of recipes for every major holiday and even more casual occasions, like lazy Sunday afternoons. 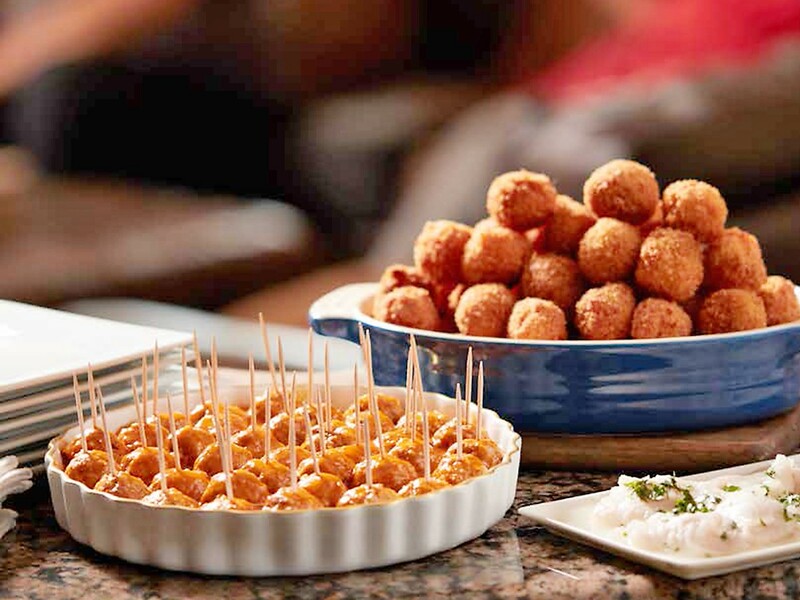 For Super Bowl parties, McGrady’s offerings are Lobster Mac & Cheese Balls, Salmon & Cilantro Ceviche with Tortilla Chips, Turkey Meatballs with Smoked Paprika Coulis and Whisky Chocolate Bread & Butter Pudding for dessert. Of course, selections like Chicken Tikka Masala Pizza and Rustic Fig Prosciutto & Goat Cheese Pizza would be just as welcome at a Super Bowl party. Want a taste? We’ve included the Turkey Meatballs with Smoked Paprika Coulis recipe below. Good news for those trying to reduce carbohydrates: with only a third of a cup of panko, there are only about 15 in the entire batch. Get all the recipes from The Royal Chef At Home by purchasing the book from McGrady’s website, The Royal Chef, for $29.95. Preheat the oven to 350.F. In a large bowl mix the turkey, pepper, cilantro, green onion, egg, panko, chili powder. Season with salt and pepper. Shape the mix into small balls using an ice cream scoop and place on a greased baking sheet. Bake for about 10 minutes. While the meatballs are cooking prepare the sauce. Sauté the onions in the olive oil until soft and translucent. Add the smoked paprika and stir. Add the cream and boil for about 4 to 5 minutes until reduced and thickened. Adjust the seasoning with salt and pepper. Pour over the meatballs and serve.